WIN 10PRO UPD. SISTEMA OPERATIVO. TASTIERA ITALIANA. NOTEBOOK 14.1" HP 3GB RAM 260 GB HHD INTEL CORE 2 DUO T6400 2 GHZ Cpu: intel Core 2 Duo T6400 DA 2 GHZ Hard disk da 260 gb hhd DVD RW RAM 3GB Sistema operativo Win 10 pro 64 bit Office 2016 Fornito di alimentatore ricondizionato . HP ELITEBOOK 6930P! OTTIMA BATTERIA OLTRE 1:30 ORE IN WINDOWS. Batteria oltre 1:30 in Windows 7! INSTALLATO WINDOWS 10PROFESSIONAL. 250 GB HDD! Altezza:200 mm. Profondità: 245 mm. Larghezza: 370 mm. 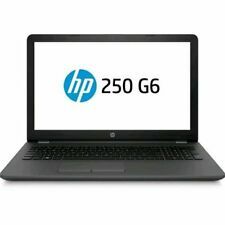 HP ProBook 640 G1. 4x USB 3.0. Per qualsiasi Info Contattateci ! Opzionale:Kit Borsa Minimouse Ottico Cordless. Windows 10 App. Peso 2.0Kg. TASTIERA RICONVERTITA LAYOUT IT CON STICKERS. Audio In/Out. HP ProBook 6540b. HP ProBook 6540b (ProBook 6550 Serie ). You could get a lot more life out of this battery by employing a balanced power profile, lowering the brightness and letting the screen switch off during idle periods. MONITOR 14″ (35.56cm) HD LED Display. – Cardreader. – Smartcard Reader. – Firewire. OTTIMA BATTERIA OLTRE 1:30 ORE IN WINDOWS. 320 GB HDD! Windows 10 PROF 64 BIT. HP PROBOOK 6450! INSTALLATO WINDOWS 10 PROFESSIONAL. HP Probook 6540B. 4 x USB 2.0; 1 x VGA PORT; 1 X SERIAL PORT 1 X eSATA NETWORK PORT. HP ELITEBOOK 8470b I5 M3220@ 2,6 ghz!! 8GB ram!! 500 Hd 14.1" WIDE WINDOWS 10! HP ELITEBOOK 8470P! HP ELITEBook 8470P. OTTIMA BATTERIA OLTRE 1:30 ORE IN WINDOWS. 500 GB HDD! INSTALLATO WINDOWS 10 PROFESSIONAL. Wireless & Bluetooth. 4 x USB 2.0; 1 x VGA PORT; 1 X SERIAL PORT 1 X eSATA NETWORK PORT. HP PROBOOK 6470B! 4 GENERATION I5. HP ProBook 6470b-LG658EA (ProBook 6470 Serie ). Core I3 2420M 2.5GHz. 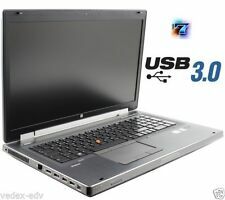 WDC Scorpio Black WD5000BEKT-75KA9T0,500 GB. 87% Review HP ProBook 6360b Notebook | Notebookcheck. HP ZBook Zbook 14u G5. Tipo di prodotto: Computer portatile, Fattore di forma: Clamshell. RAM installata: 8 GB, Tipo di RAM: DDR4-SDRAM. Scheda grafica integrata. Sistema operativo incluso: Windows 10 Pro. HP ProBook 440 G5. Tipo di prodotto: Computer portatile, Fattore di forma: Clamshell. RAM installata: 8 GB, Tipo di RAM: DDR4-SDRAM. Scheda grafica integrata. Sistema operativo incluso: Windows 10 Pro. MONITOR 14" RISOLUZIONE HD 1440x900. Monitor: 14,1" wide, risoluzione HD 1440x900. HP 6930P_W10_2019. E’ ALTRESI INUTILE E SCORRETTO APRIRE SUBITO CONTROVERSIE, SENZA PRIMA CERCARE UNA SOLUZIONE CORDIALE CON IL VENDITORE. STUPENDO HP ELITEBOOK 8470P. 1000 GB HDD! INSTALLATO WINDOWS 10 PROFESSIONAL. Batteria oltre 1:30 in Windows ! 10/100/1000Gigabit Ethernet. Scheda di rete. Peso: 1,3 kg. Altezza:200 mm. PC PORTATILE HP 6470b I5 @ 2,4 ghz!! 8GB ram!! 320 Hd 14.1" WIDE WINDOWS 10! 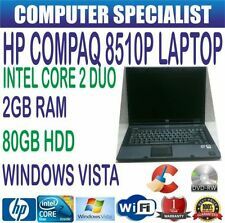 HP ProBook 6460b Core i3 2520M 14.1" - A. SpecificheHP ProBook 6460b Core i3. Notebook ricondizionato Grado A. Difetti Nessuno. HP 6450b! i3 TRICORE. Processore core I3 M520. 250 GB HDD! 10/100/1000Gigabit Ethernet. Scheda di rete. Peso: 2,4 kg. Altezza:200 mm. HP 6450b! Processore core I5 M520. 500 GB HDD! Scheda di rete. Peso: 2,4 kg. Altezza:200 mm. Profondità: 245 mm. Larghezza: 370 mm. HP 14-am026na 14.1". 1x HP 14-am026na. As part of the sale you"ll receive. WIFI WIRELESS CONNECTION. 160 GB HDD! OTTIMA BATTERIA OLTRE 1:30 ORE IN WINDOWS 7. PRONTO ALL'USO. FLASH PLAYER AGGIORNATI. ADOBE READER. NORMALI SEGNI DI USURA SULLA SCOCCA. WORD, EXCEL E POWERPOINT. MODEL NUMBER 6475b. PRODUCT LINE ProBook. CPU TYPE AMD A8-4500M. Wow, what a deal! Get this HP computer with a super fast AMD A8-4500M processor, 500GB Hard Drive and 14.1" screen. MANUFACTURER HP. OS Windows 10, Professional, 64-bit. HP Compaq 6510b. Hard Drive 160GB. Optical Drive DVD RW. Our range of computer system are suitable for professional and students alike. VLC Player- Good For Watching Movies. CHEAP 17" TFT Monitor - Assorted Makes- Acer Dell HP Hanns G (FREE CABLES). 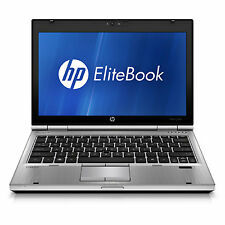 HP EliteBook 6930P. Webcam YES. Hard Drive 160 GB. Our rang of computer system are suitable for professional and studens alik. Open Office- Good For Word Processing, Spreadsheets, Presentations, Graphics, Databases and more. Core2Duo P8700 @ 2.53 GHz. HP EliteBook 6930P. Good Used Condition, The Small issue is lid does not close correctly, does not effect overall use. 2 x USB Ports. OTTIMA BATTERIA OLTRE 1:30 ORE IN WINDOWS. 320 GB HDD! PC GARANTITO 60G. Windows 10 PROF 64 BIT. INSTALLATO WINDOWS 10 PROFESSIONAL. Wireless & Bluetooth. 4 x USB 2.0; 1 x VGA PORT; 1 X SERIAL PORT 1 X eSATA NETWORK PORT. Model: 8460p. Product Line: ELITEBOOK. Hard Disk Drive Storage: 500GB. Manufacture: HP. Condition of this unit: All our units are second user & may contain slight marks or scuffs to the casing however not affecting the functioning or use. Notebook e computer portatili HP Dimensioni schermo 12"